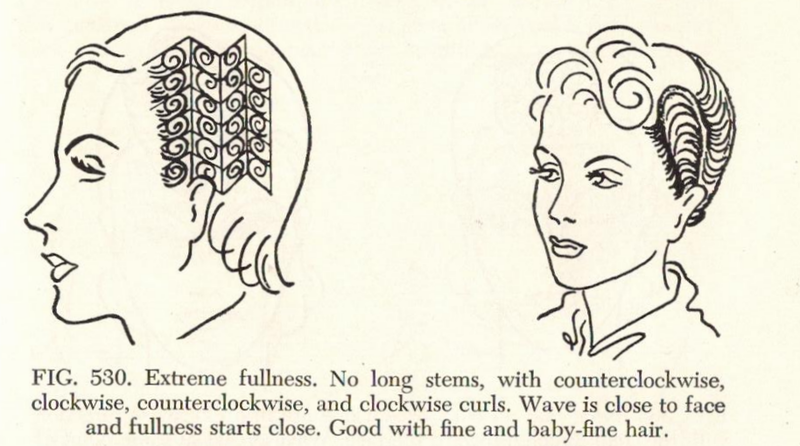 The following diagrams from a 1950s high school home economics textbook illustrate how you should pin the curls to achieve the desired side effects, from close to the head to fluffy fullness! Start with clean, wet hair. 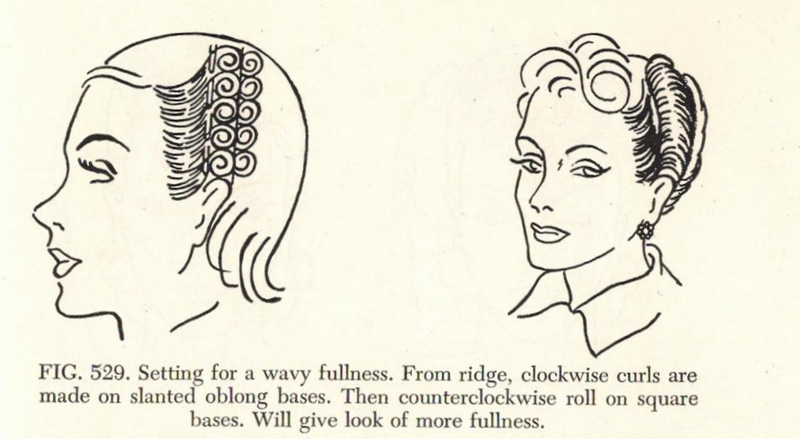 Divide the sections of hair for each curl as equally as possible. Each circle should be flat and smooth on its base. 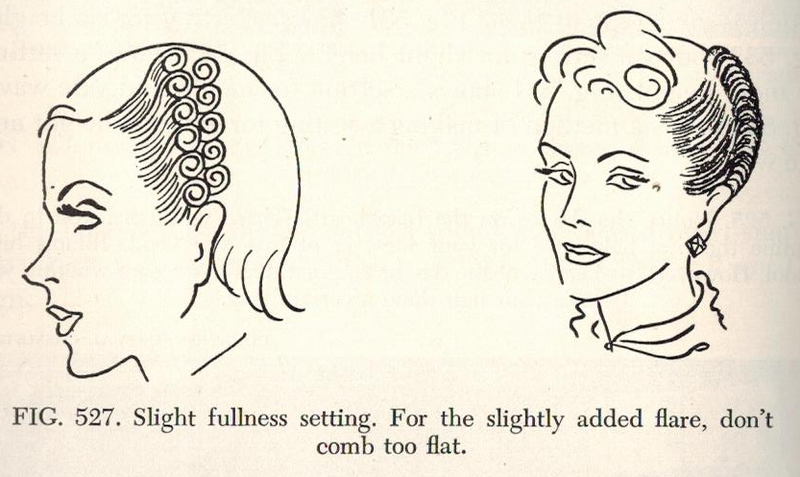 The direction in which a curl and stem is placed determines the finished style. 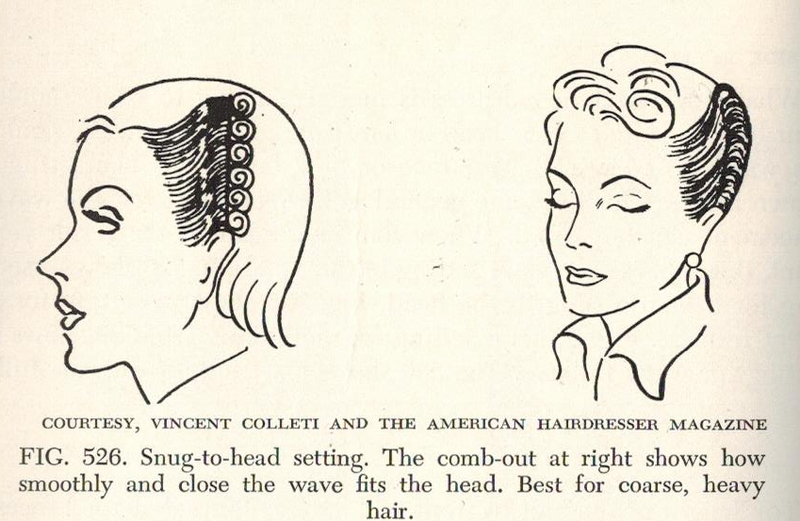 So arm yourself with a box of bobby pins or clippies, a comb or brush, gel (to help your hair hold the curl longer), end papers if you have them, and experiment with these variations. Have fun! 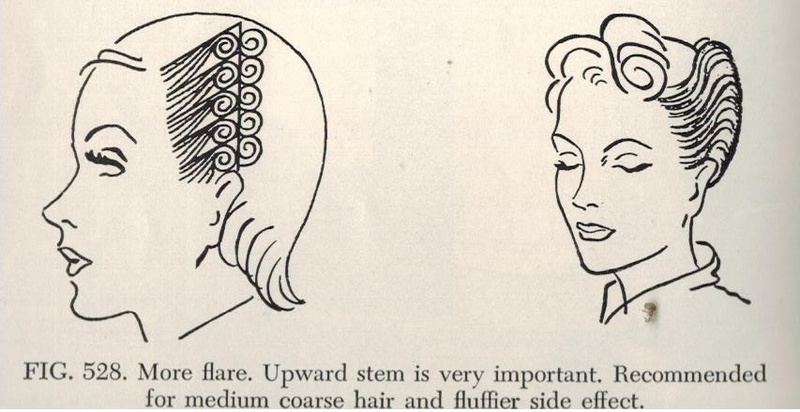 Definitely research pin curls on YouTube, or just on the internet generally, for further guidelines and tips.